The poorest sections of the working class continue to bear the brunt of capitalist austerity while the rate of exploitation increases and levels of poverty become ever more pronounced – especially with the catastrophic effects of Universal Credit here in the UK. Still, it’s not bad for everyone. Research by the Chartered Institute of Personnel and Development (CIPD) and the High Pay Centre shows that, on average, chief executives of FTSE 100 companies are paid around £898 per hour – that’s 256 times what apprentices earn on the minimum wage. 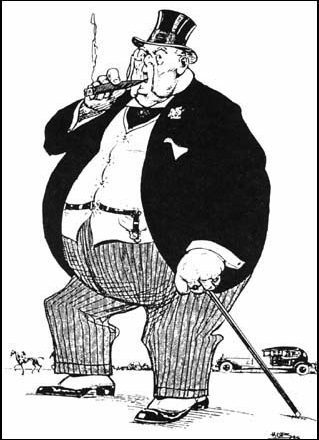 If that’s not sickening enough, how about the fact that last Thursday morning (now known as ‘Fat Cat Thursday’) the UK’s highest paid bosses actually ‘earned’ more before lunchtime than the average UK worker earns in the whole year! In other words, the median wage for chief executives of FTSE 100 companies is around £3.45m a year… that’s 120 times the UK average full-time wage of £28,758. While this Guardian articlecontains further horrifying statistics for Fat Cat Thursday, as anarchist communists we have to say we are not really surprised by this kind of behaviour from the most exploitative sections of the boss class. After all, it’s what the capitalist system’s all about. What is more surprising, however, is how people can still continue to swallow myths like ‘we’re all in it together’ and ‘the national interest’ when, in reality, the national interest is, by definition, what’s of interest (and profitable) to the bosses. So it goes without saying that we, as a class, need to totally reject the myth that workers have anything in common with these parasitic leeches if we ever want to see any change for the better in this world.